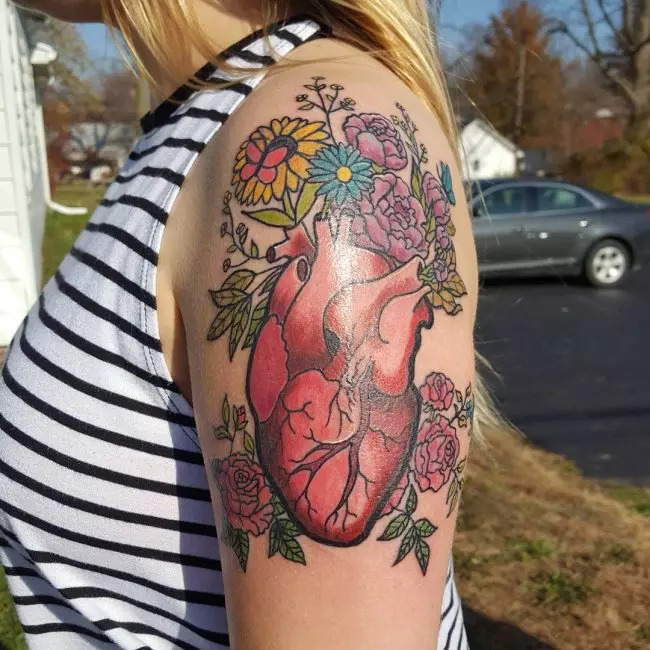 Anatomical heart tattoos may not be appealing to individuals who love romantic heart designs although the tattoos are a trending design in the world of tattoos. However, you don’t need the horrific and bloody realistic organ. There are many anatomical heart designs you should consider in the old medical books. Furthermore, there are many conceptual illustrations and surreal twists. Your heart keeps blood flowing inside your body. It pumps blood to your brain and all the other organs and therefore keeps you alive and in good health. The heart is the primary element of biological life. However, it is also a symbol of another life which is more interior with beliefs and feelings. This is the main reason why an anatomical heart will stand for love, sorrow, bravery and faith. Ancient Egyptians believed that the heart contained the virtues and the sins of an individual and they therefore weighed it to determine his fate. In the modern religion, the heart is the place for the soul. When held in a hand, the heart symbolizes dedication and charity to God, friends and family. When locked, a heart shows that the individual is waiting for another relationship for him/her to reopen it again. In addition, the heart is a symbol of freedom, energy and hope when it features wings. Anatomical tattoos mainly covey friendship, love and commemorate adoration feelings. 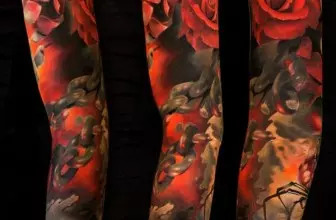 The tattoos also represent centralization and unity of life since the human heart is at the center of the engine of life. Buddhists associate the heart with the Dhamacakra – wheel of law. Within the context, a heart tattoo is symbolic of the universe perfection. It may also represent compassion, spiritual devotion and mindfulness. In Christianity, a heart is associated with love and unity. A sacred tattoo or a heart with hovering flames and wrapped in thorns represent Christ’s compassion capacity. Christians take it as a symbol of Christ’s enduring belief brotherly and sisterly love potential. The symbol is an icon that beckons mankind to maintain fire of the soul as properly tended including in face adversity. 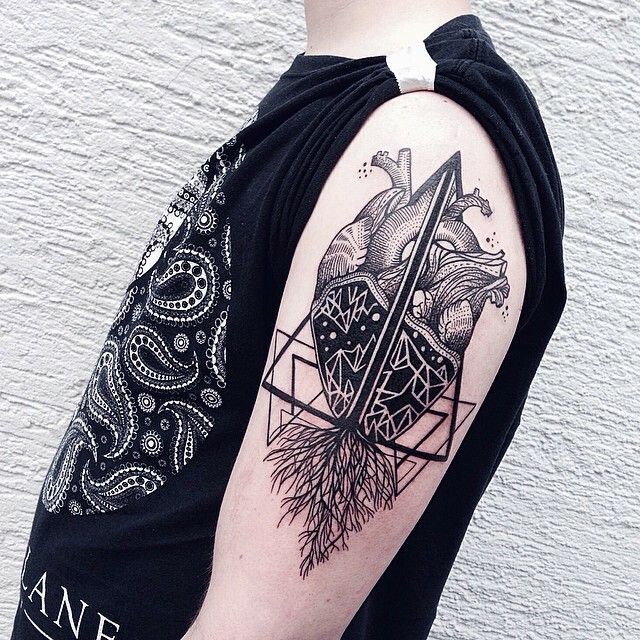 All heart tattoos consisting of arrows through the heart’s center have similar meaning. They generally represent long lasting love including in face of hardship. The tattoos also represent cupids – Eros in the Greek myths – arrows piercing the heart and joining lovers forever with an amorous aim. Anatomical heart tattoos are usually small in size and therefore they can fit in any part of your body. You can place them on your lower back, your hip, feet or wrist. Before placing a tattoo you must consider its size. The rib cage, the arms and the lower back provides a large canvas while the feet and wrists are best for small tattoos. Therefore, you should choose the tattoo placement according to the design you have chosen. Broken anatomical heart tattoo designs. The tattoo design is a reminder of a broken heart or a lost loved one. However, the broken heart can also stand for a long distance relationship and remind you of the sacred nature of love. Black heart tattoos represent a sad day in a person’s life including the loss of a friend or a relative, the end of a relationship and a memorial after tragic event. Mostly, people include angle wings, a cross, or flowers under the heart. There are people who have black heart tattoos to represent the many lives lost. A winged heart tattoo represents free spirit, spirit and freedom. Individuals get the design to represent their free-spirited and joyous nature and freedom from some bad habits or addiction. The tribal anatomical heart tattoos do not represent anything. Most individuals, who choose the design, do so to display a personal message or to show its great look. There are very many tribal heart designs to consider and they easily merge with the other tattoo designs. Celtic anatomical heart tattoo designs. The tattoos are a great way of showing unity and strength. They also exist in four differentiated patterns which include spirals, crosses, knots and step work. 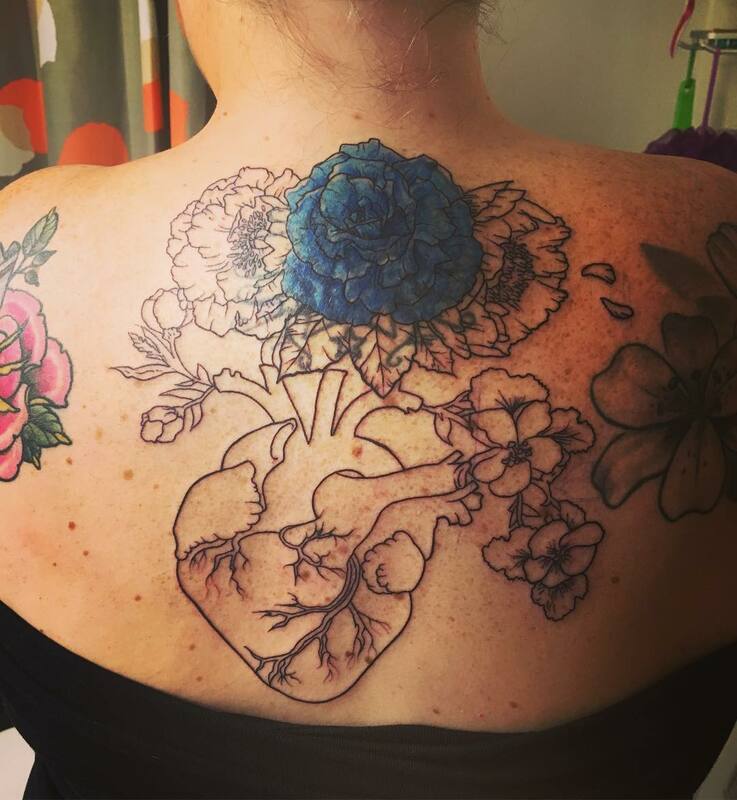 Sacred anatomical heart tattoo designs. The tattoo is the most symbolic design you will ever get. Its history is long and dating back to the 17th century. Thorns, a crown, angles, a pierced sword, surround the heart and at other times it is usually burning. For many centuries, people have seen the heart design as a catholic symbol and dedicated to Christ. It represents unity and one faith in Christianity. Lock and anatomical heart tattoo. 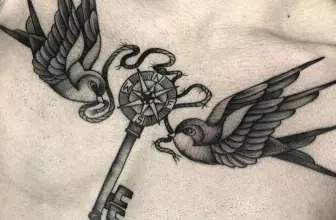 The lock and heart tattoo have positive meanings. There are people who get the tattoos to represent love for another person. It symbolizes the particular person who can unlock your heart. Realistic anatomical heart tattoo designs. The heart design is not very common although it is usually full of colors. 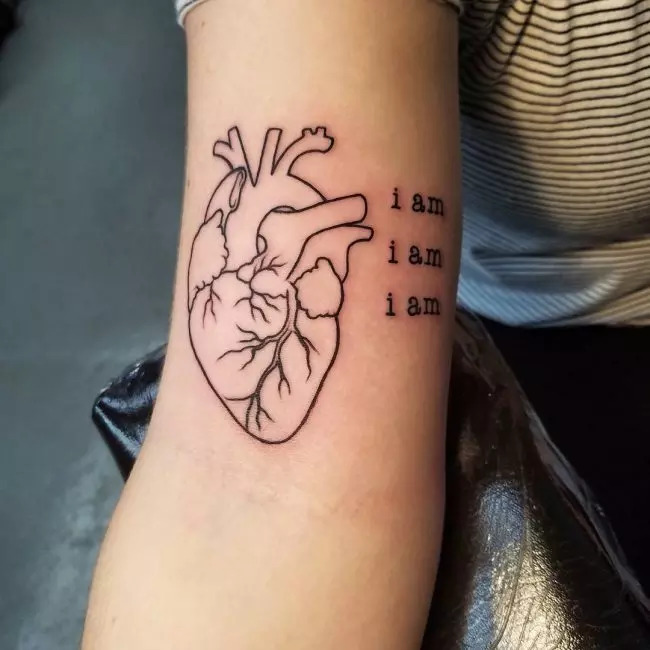 It may also be an actual representation of the real human heart and a tattooist may place it held on a person’s hand. The tattoo represents a very strong love passion and love. The flames represent burning love and intense heat associated with passion. Dagger heart tattoos are positive and also negative. On the positive side, they represent courage and bravery while on the negative side they represent sorrow, grieve and a long lasting struggle. 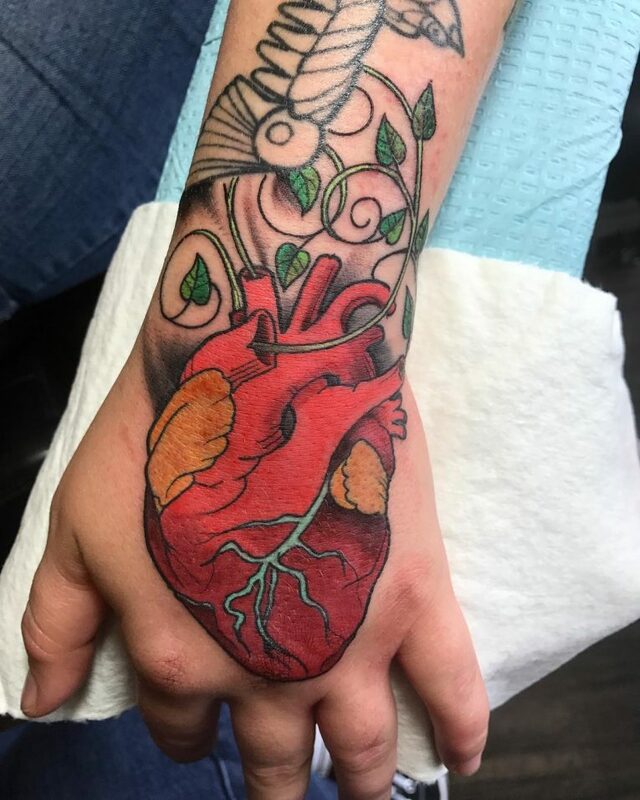 The stitched anatomical heart tattoo. The tattoos have several meanings. For example, knitted heart or stitched heart represents lost love or a broken heart that has already healed. For a long time, people have chosen anatomical heart tattoos. They are common among girls although these days most girls are going for the hearts that are not too frothy or frilly contrary to what happened some years ago. The tiny solid black anatomical hearts in pairs or alone may represent a friend or a spouse. 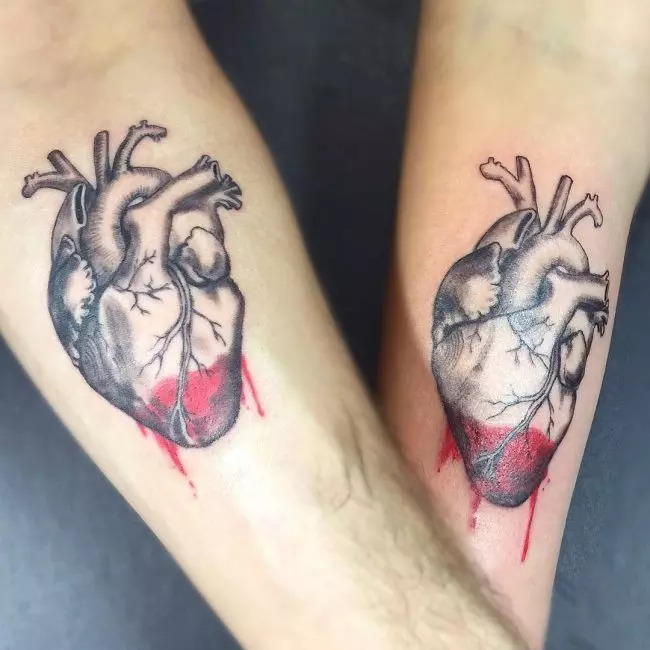 Sometimes friends go for matching tiny heart anatomical tattoos to cement their lifelong friendship. 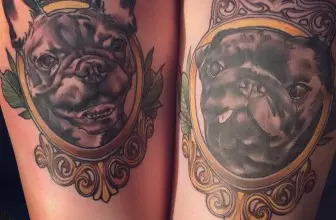 A small and simple tattoo can be suitable for any person including a person looking for a timeless tattoo that will look great even after very many years.